The plantation was owned by the Mackay family. Circa 1930  George Widener purchased Jenkins Plantation, Rocky Point Plantation, Lockwood Plantation, Bull Bluff Plantation and Mackay Point Plantation. He combined the properties into one large plantation and retained the Mackay name. He constructed a large mansion/hunting lodge (3, p. 145) (6). 1971  George Widener died and left the plantation jointly to four of his wife's grandchildren as he never had children of his own (3, p. 147). 1972  Wye River Farms purchased Mackay Point from the estate of George Widener (3, p. 147). 1972  Wye River Farms conveyed the 4,644 acre property to Barbara and Stuart Janney Jr. (3, p. 147). 1988  Stuart Janney passed away, with Barbara the year previously, leaving Mackay Point to his 14 grandchildren (3, p. 147). Circa 1994  The Welsh family purchased Mackay Point (5). Circa 2009  The house built by Wildener was torn down and replaced by a new house (3, p. 147). 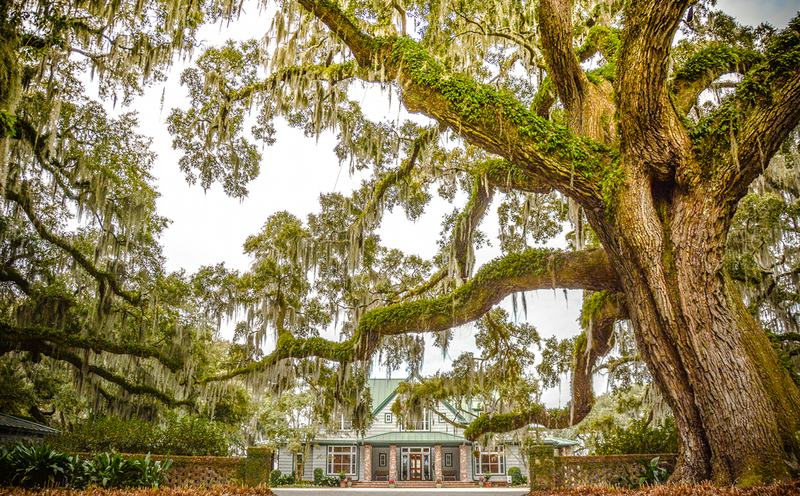 2014  Two partners of a private equity firm purchased the plantation and renovated all of the property's buildings. They also worked with the Lowcountry Open Land Trust on a conservation easement for the property (4). All of the original houses on Mackay Point were destroyed by Sherman's troops in 1865.